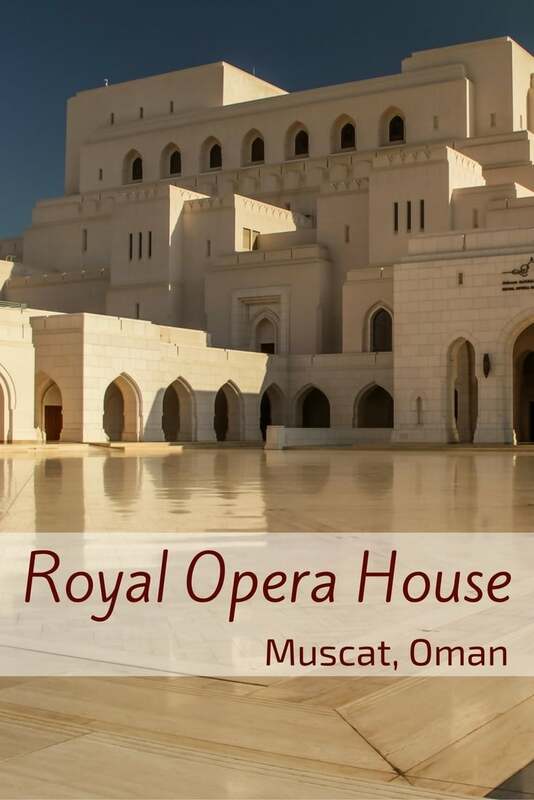 The Muscat Royal Opera House (ROHM) looks simple and yet it is a very intricate muscial venue. 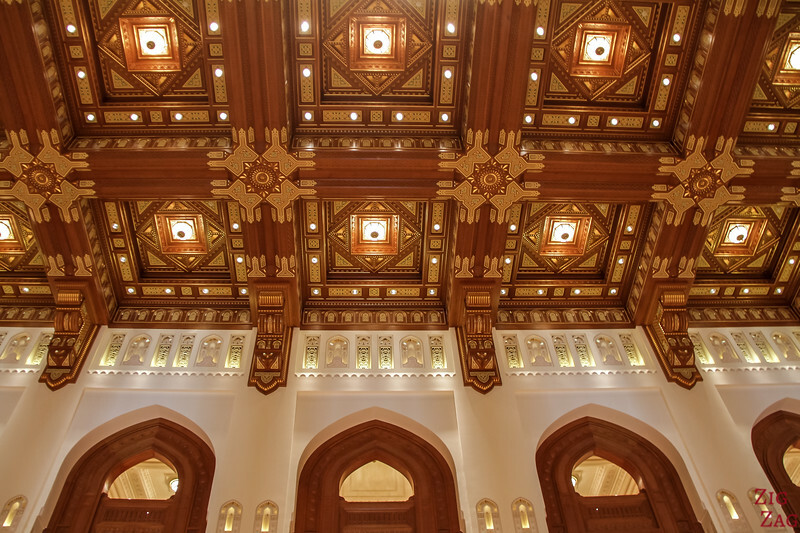 Opened in 2011, it can now be visited every morning to discover the architecture and rich handmade decor of the different sections. Do not miss it! 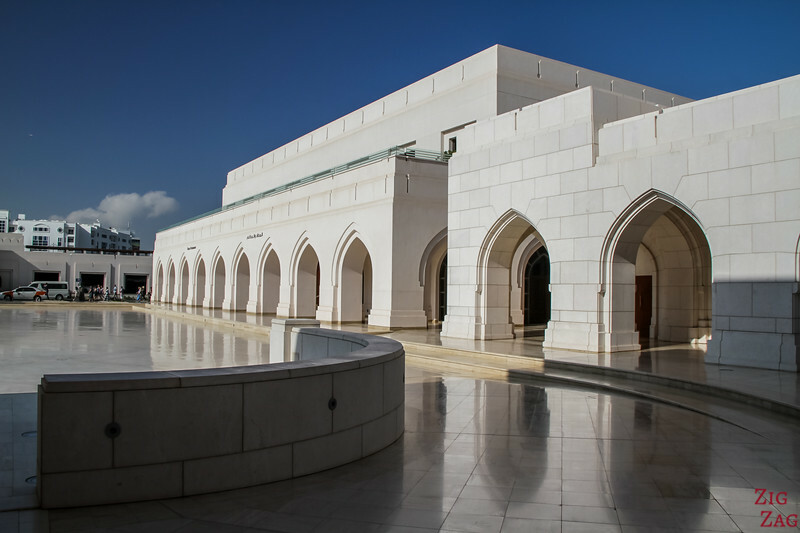 Apart from the Sultan Qaboos Grand Mosque it is the other building not to miss in Muscat. 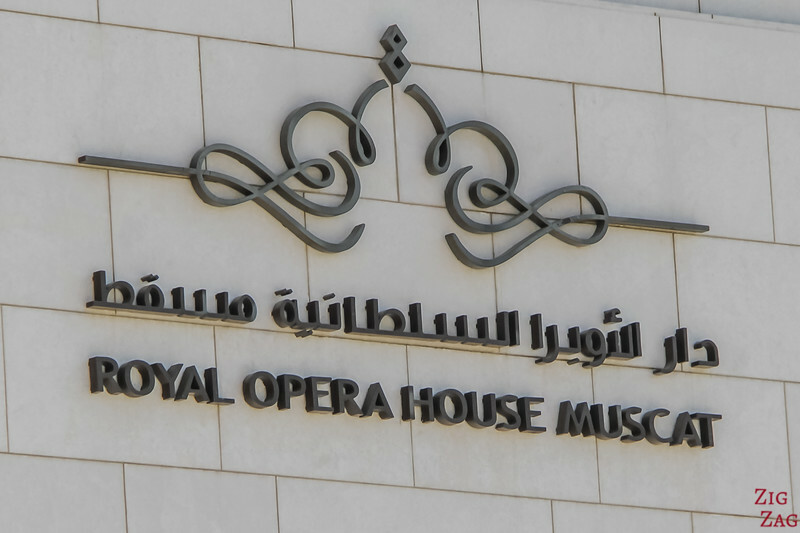 Built on the orders of Sultan Qaboos, a music lover, the Royal Opera House is a mix of tradition and modernity. 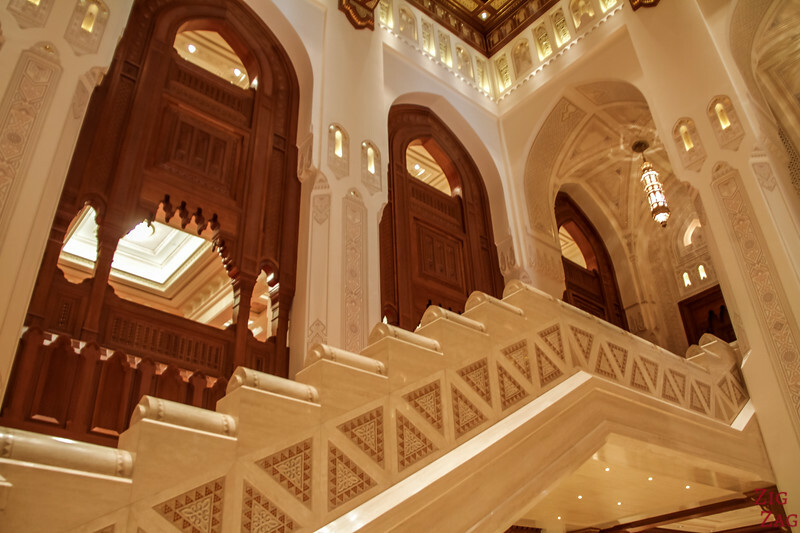 From the outside, the intricate marble architecture is already mesmerizing. 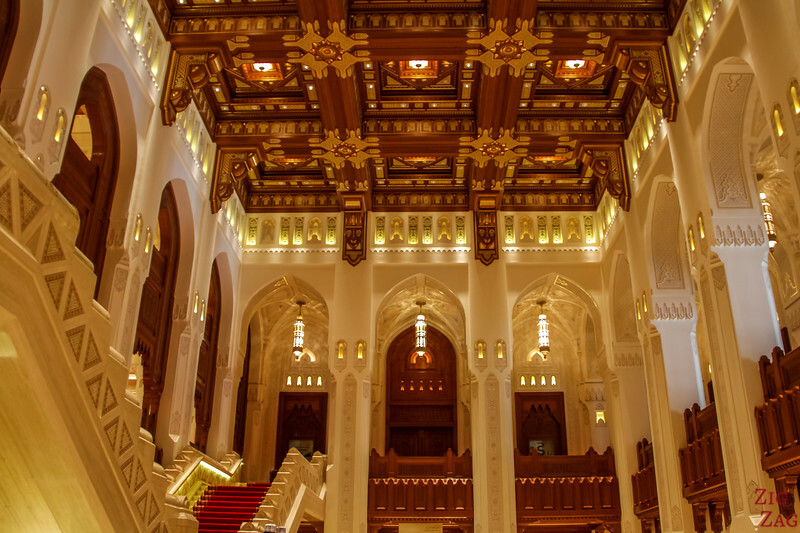 But inside the wooden, gold and glass features make you imagine yourself as an Queen or Opera singer! 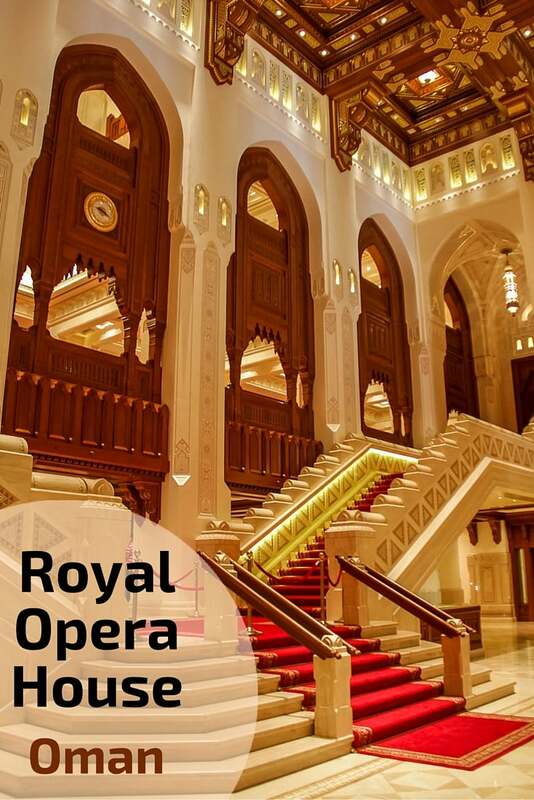 It was officially opened on 12th October 2011, with the production of the Turandot opera. 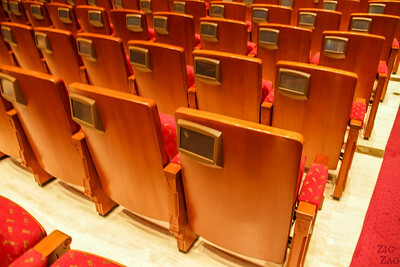 The venue can accomodate 1100 people. 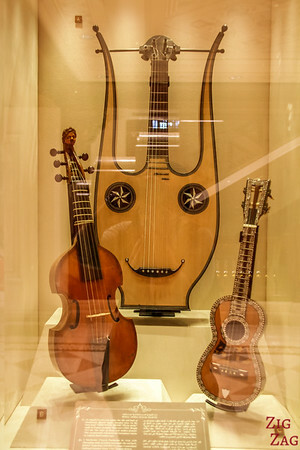 Opened for visit only everyday from 8:30am to 10:30am. Some local guides do group tours during those hours. 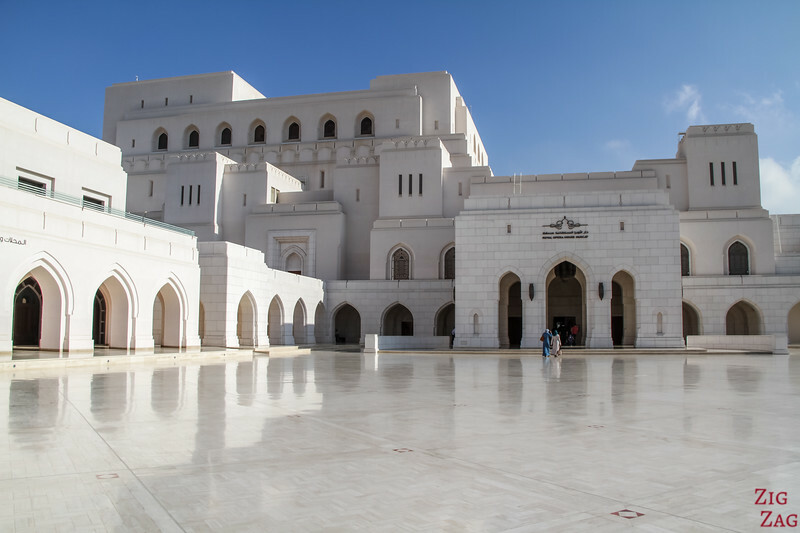 And if you have a few days, check out my list of things to do in Muscat, Oman. 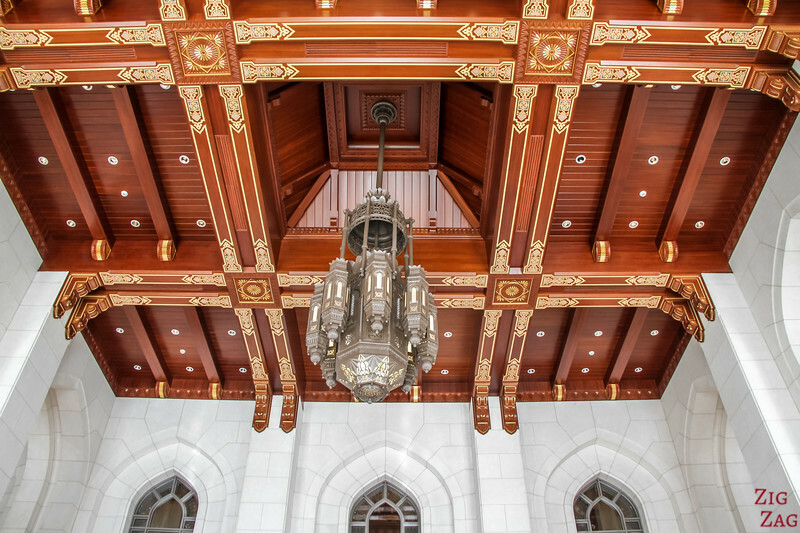 This architectural masterpiece, which looks like a palace, is designed in the classic Islamic style and built with local construction materials, such as Omani desert rose stone. 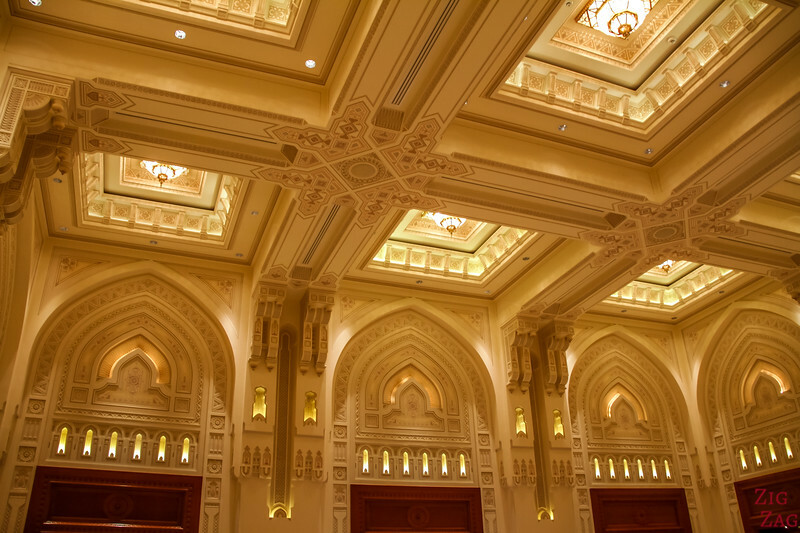 It is surrounded by landscaped gardens and set within an 80,000sq meter land. 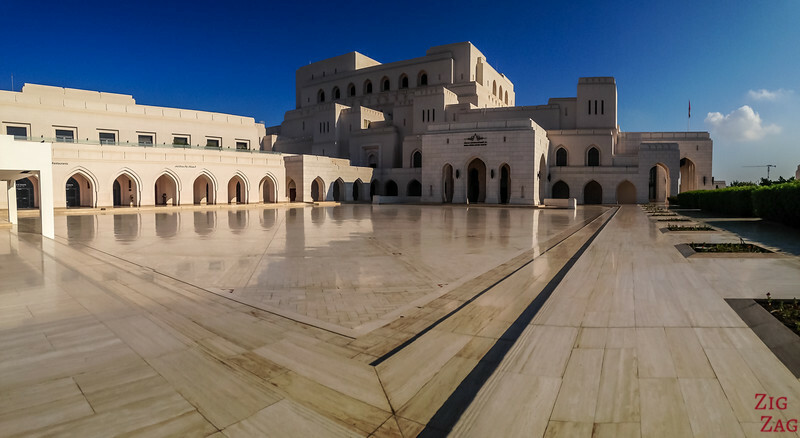 After leaving the car in the undercover parking, I walked towards the incredibily white building. 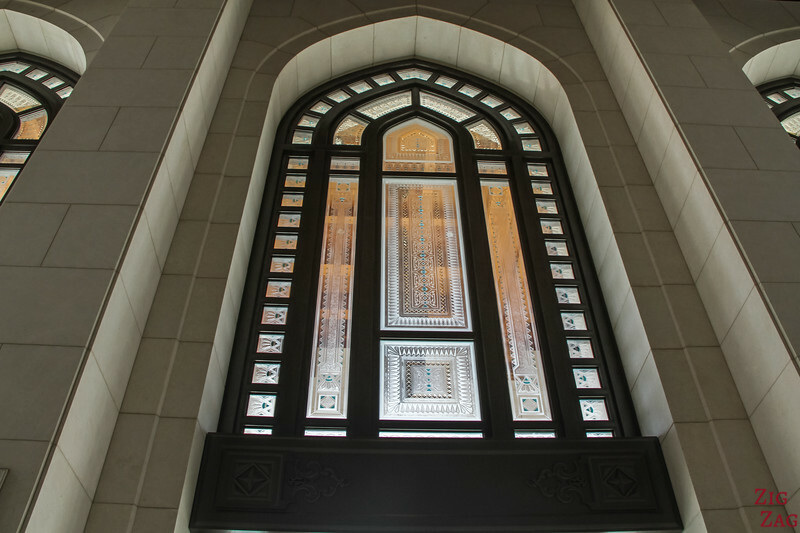 The simple yet intricate design, all in white, was mesmerizing. 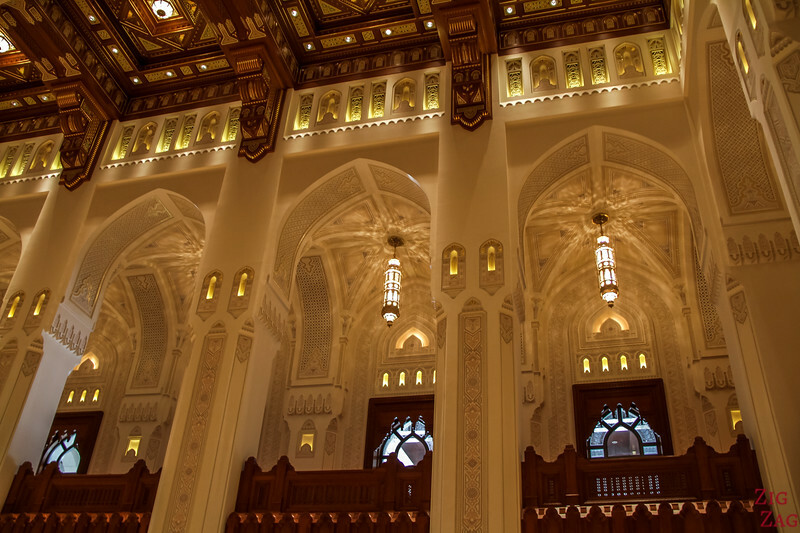 Just look at the different layers and arches! 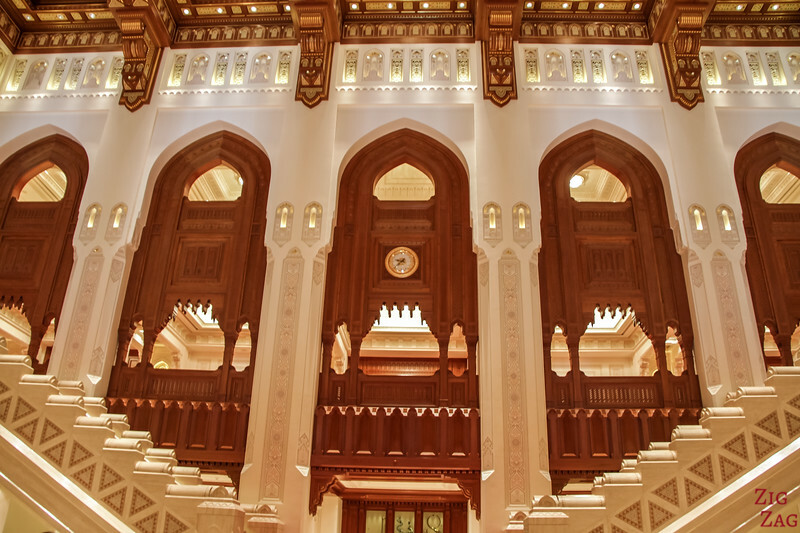 My guide pushed me inside, which I can understand why as you will see below, but I wish I had taken more time to walk around and discover the different perspectives. 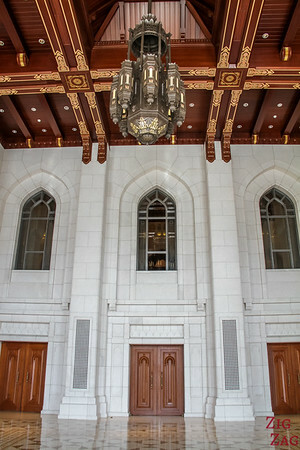 In the main entrance you get a taste of what is to come. If you come after the visiting hours, you should still be able to check this room. 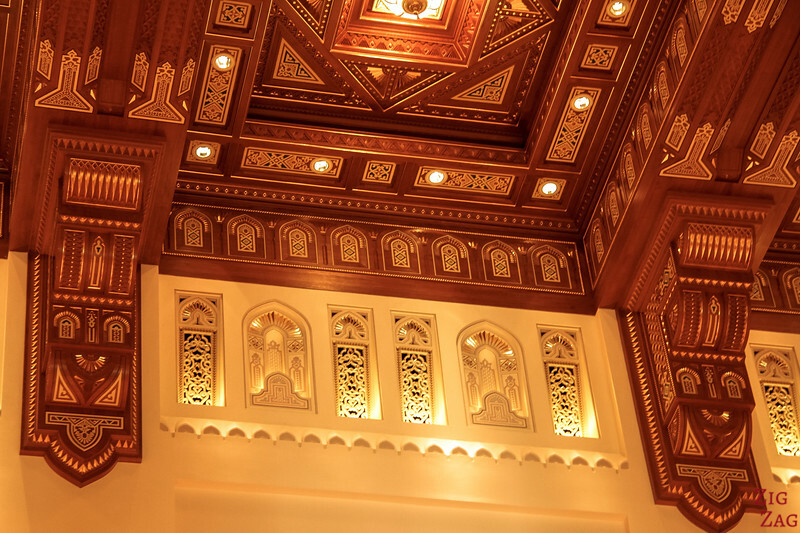 As you enter further in the Royal Opera House Muscat, the central room displays a mix of handcrafted decors: carved wooden ceiling with Burmese teak and gold leaves, marble from Italy and crystal chandeliers from Austria. 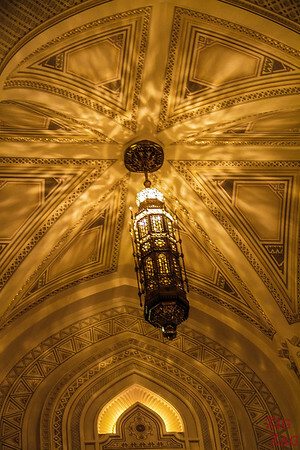 I really enjoyed the reflections of the chandeliers on the roof. It is so delicate. 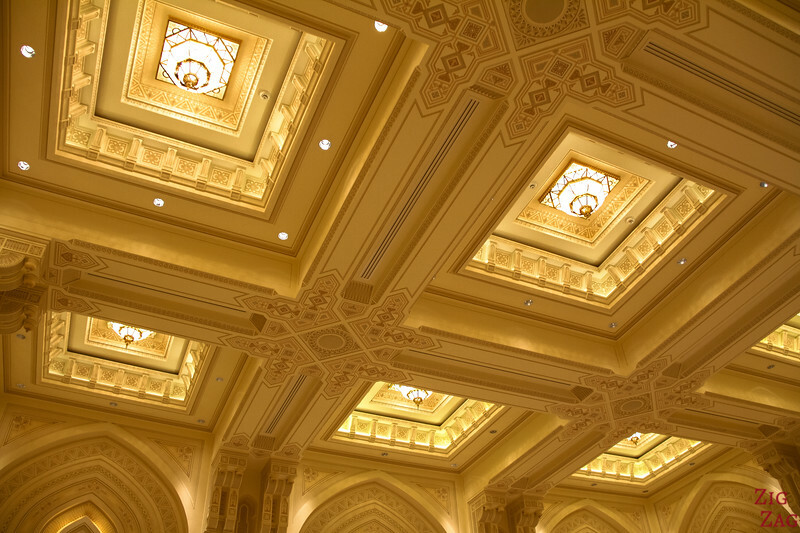 The ceiling is particlarly impressive. However I found it a bit too heavy as they have done it everywhere and the wood is quite dark. 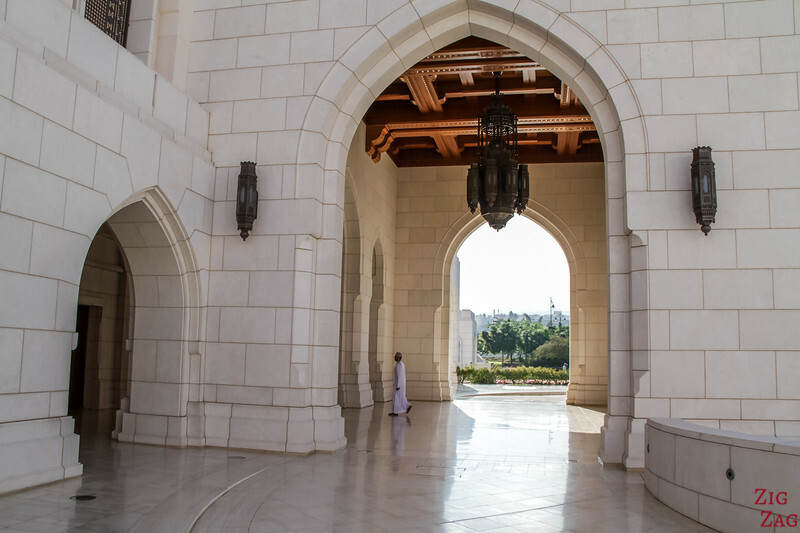 The doors were closed but my guide still opened one and took me inside the royal entrance (separate from the one for the commoners). 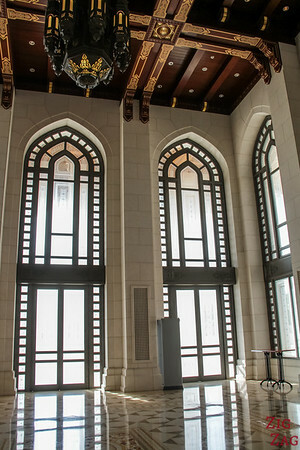 I found this room simpler but more magnificent than the common entrance and loved the darkframes of the windows / doors. 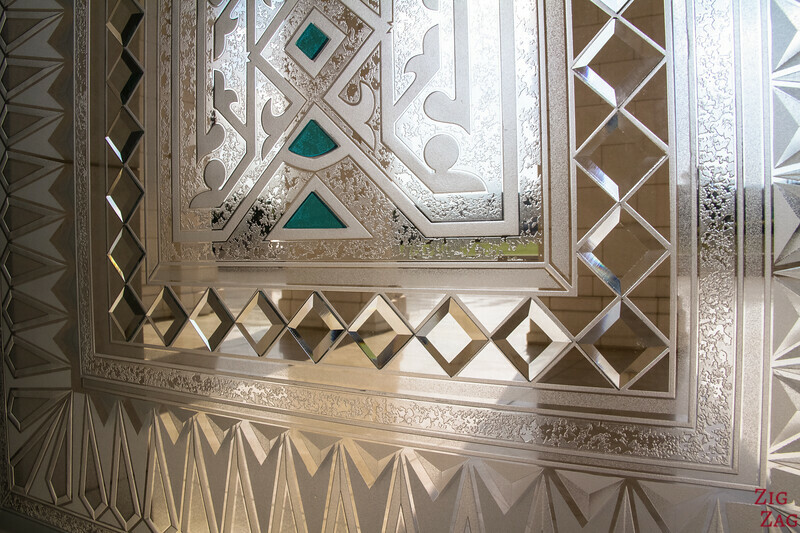 And if you look up close to the glass you see the colors and the 3D work to create intricate shapes. 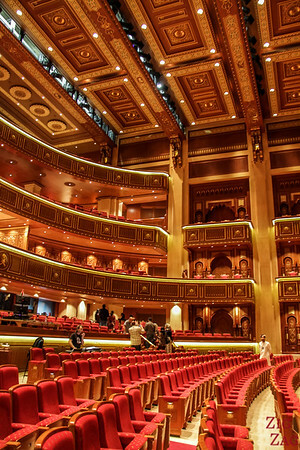 When there is no rehearsal, you also get access to the state of the art auditorium of the Royal Opera House Muscat. 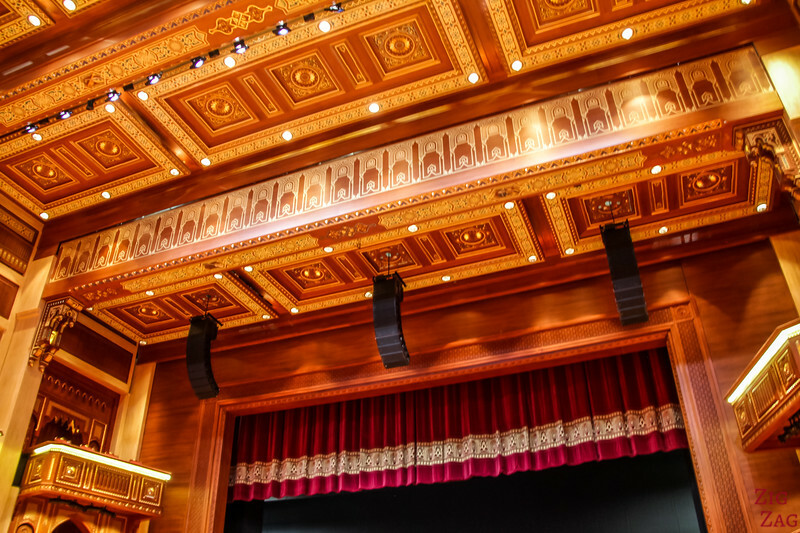 This room is not only impressive because of all the handcarved wood decor but because of the ability to transform it from a proscenium style theatre (arched ceiling, curtained stage and orchestra pit) into a symphonic concert hall (shoebox shaped music hall with flat ceiling). 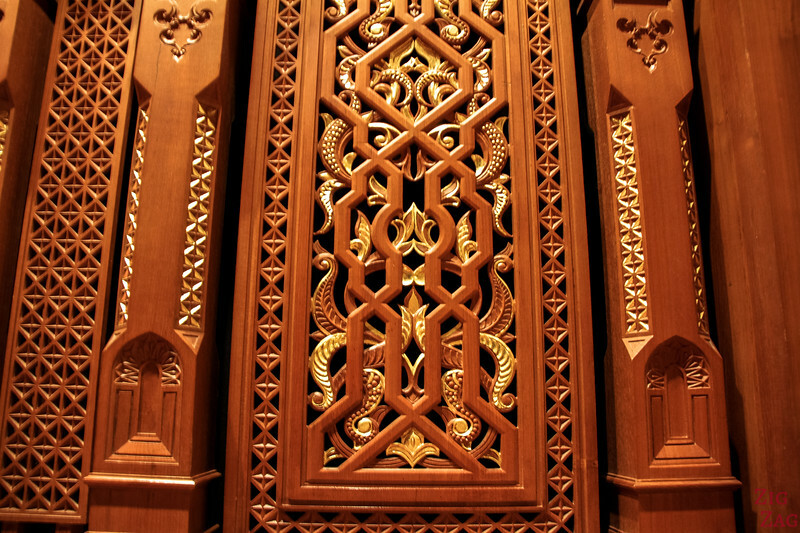 See the details in the carving of the wood - and the whole room is like that! 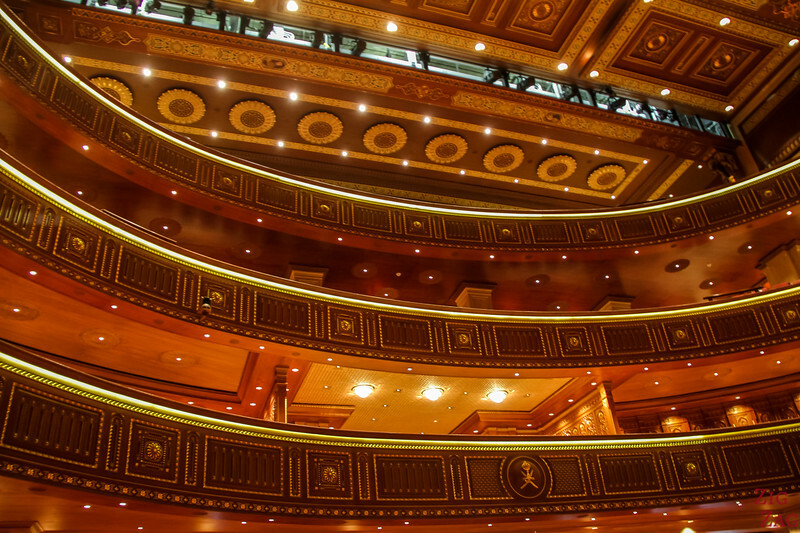 The other technical specifity of this auditorium is the presence of multimedia interactive display system - the Touch-screens, located on the back of every seat, allow the audience to read translated subtitles of each performance. 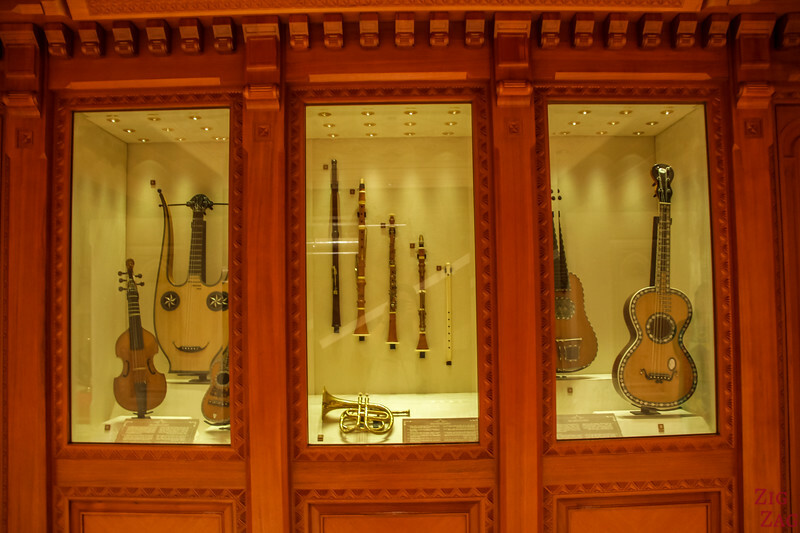 And to finish, I appreciated the presence of displays of vairous musical instruments. Quite a unique building, don't you think?